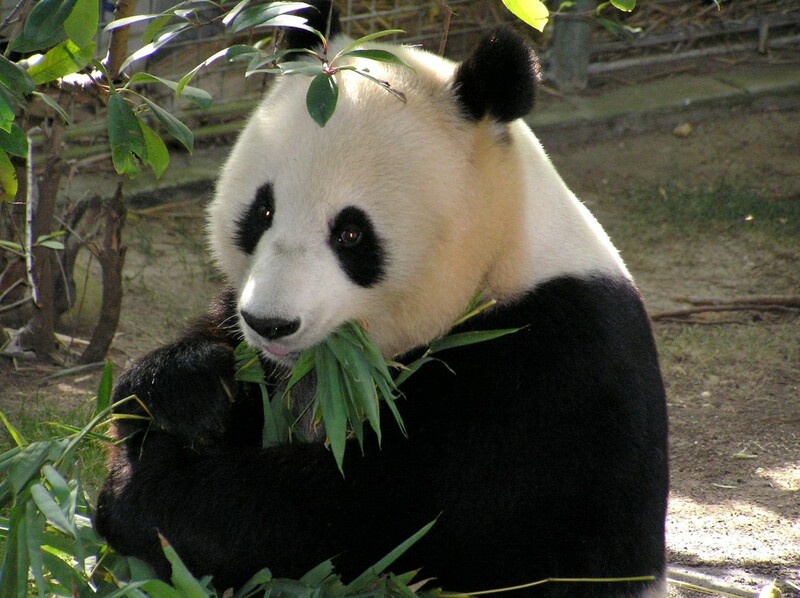 The giant panda, also known as panda bear or simply panda, is a black-and-white bear native to south central China. It is easily recognized by the large, distinctive black patches around its eyes, over the ears, and across its round body. This is a ten-question trivia quiz.